Taking your medication exactly as prescribed is key to HIV treatment working. As treatment is a long-term commitment, it’s important that your treatment suits your lifestyle. If you find taking your HIV treatment difficult, support and help is available. Tell your healthcare team you need support. They are there to help. Taking your HIV treatment properly (sometimes called treatment adherence) is very important. You'll get the most benefit from your medicines if you can do this. If you don’t take your treatment as prescribed, particularly if you regularly miss doses or your treatment, it may not be as effective in reducing your viral load and protecting your immune system. If your viral load is not fully suppressed, HIV has a chance to change and become resistant to the drugs you are taking. It might also mean that your HIV becomes resistant to drugs similar to the ones you are taking. Taking all the doses of your drugs. If you miss doses, this gives HIV a chance to become resistant. Taking your doses at the right time. If you take your medicine too early or too late it can be as bad as missing doses completely. Making sure you take your medicines in the right way. Some medicines need to be taken with food for them to work, but others need to be taken on an empty stomach. If you don’t take your pills in the right way it can mean that you don’t absorb enough of them to fight HIV, risking resistance. Making sure you don’t take other drugs or medicines that interfere with your body’s ability to process your HIV treatment. Always tell your HIV doctor about any other medicines you are taking. This includes medicines that another doctor has given you or that you have bought from a high-street or online chemist. It's also a good idea to tell your doctor about any recreational drugs you are taking. Interactions between medicines or drugs can mean that not enough of one medicine reaches your blood. Or it can mean that you get the levels of a medicine or drug in your blood are increased, and that can be dangerous. The best results of HIV treatment are seen in people who take all or nearly all their doses of medicine correctly. So you should aim to take all your doses. For some treatment combinations, the minimum level of adherence needed is 95%. If you're taking your treatment once a day that means missing no more than one dose a month. If you're taking your treatment twice a day, then 95% adherence means missing no more than three doses a month. Every time your doctor prescribes a medicine to you, they or the pharmacist should tell you what you need to do to take it properly. They should also give you written information about your treatment to take away, explaining how you take it. If you're unsure about anything, it makes good sense to ask questions. Taking HIV treatment is a long-term commitment, so it is important that the treatment you take fits in with the way you live your life. Don’t be frightened to tell your doctor if you think you’ll find a treatment difficult to take properly. There might be alternatives. "The best results of HIV treatment are seen in people who take all or nearly all their doses of medicine correctly." If you are taking HIV treatment for the first time, then there is a good chance that your treatment will consist of no more than a few pills taken once or twice a day. Several combination treatments are now available that consist of just one pill, taken once a day. Most people will forget to take a dose of their medicine at some time. Don’t worry too much if this happens occasionally. But talk to your doctor or someone else in your healthcare team if you are missing a lot of doses. 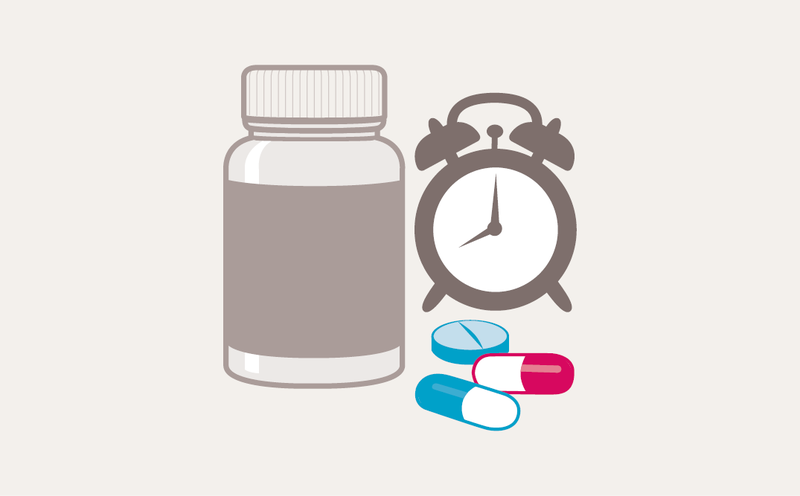 There are things you can do to help you take your medicines properly. For example, some people keep a diary, or set an alarm. For other people, pill boxes help to keep track of doses and these are available from your HIV clinic. If you're having problems taking your treatment because of side-effects, it might be possible to change to a treatment that you find easier to take. There may be other reasons why you are finding it difficult to take your treatment as prescribed. Talking to your doctor, someone in your healthcare team, or another person you trust can help you to deal with any problems you are experiencing. Your healthcare team are used to helping people who have problems taking medicines. They will be able to help you overcome any problems.